Sleep is essential to our health. It helps our brains function, supports growth and development, and keeps our immune systems, hearts, and kidneys working well.Even losing a single hour of sleep per night can be harmful and can increase our risk of obesity and stress – both of which carry health consequences of their own. So how can we get out of sleep debt and increase our overall health? The answers are complex, but findings from the NSF set a critical groundwork, which is why we spent some time analyzing them. Keep reading to see what we discovered. 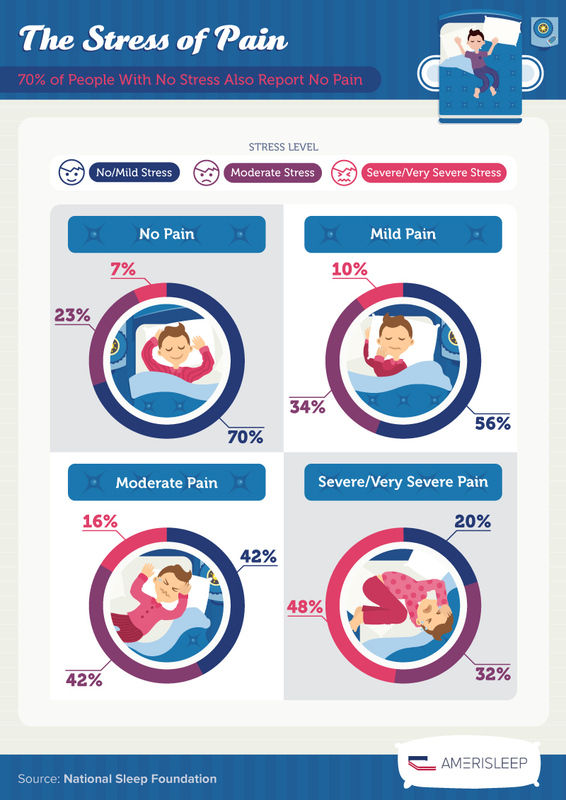 According to NSF research, “Those who rate their general health more highly were approximately twice as likely to rate their sleep quality as very good or excellent.” Conversely, those who live with chronic pain ranked the quality of their sleep – and their lives (which were three times more likely to include “severe” or “very severe” stress) – much lower. When asked if they’d experienced physical pain – either chronic or fleeting – in the last week, 57 percent of those surveyed said yes. And even fleeting pain led to worse sleep, a lower quality of life, and worse health. The health community has long understood that stress causes significant health problems, including headaches, muscle pain, chest pain, fatigue, stomach issues, anxiety, and depression. It’s also linked to over- or under-eating, drug and alcohol abuse, and even angry outbursts. Per the data, pain is also strongly connected to stress. 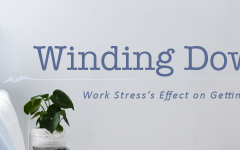 In fact, 70 percent of respondents who had no pain in the past week also reported low or no stress, while only 20 percent of those with severe pain reported no or low stress. 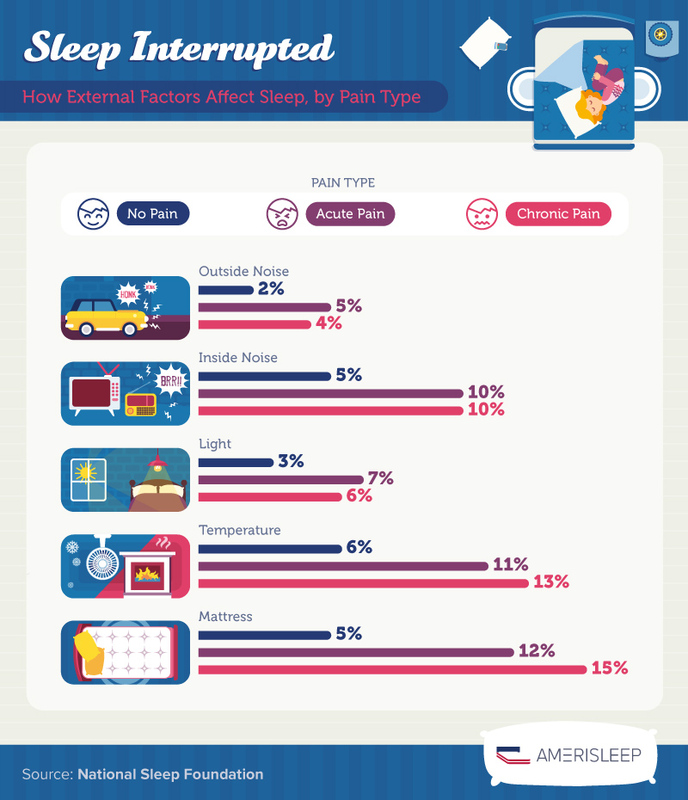 Unsurprisingly, sleep quality is also impacted by pain. For those who reported no pain in the last week, 65 percent also reported good or very good sleep. 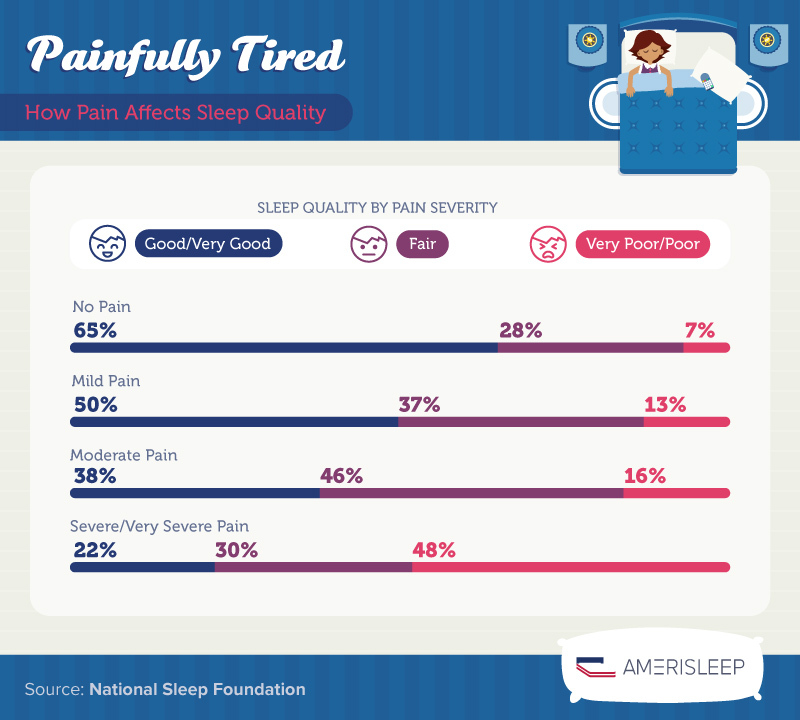 Those in mild pain were 23 percent less likely to report good sleep, while only 38 percent of those in moderate pain reported getting good or very good sleep. Finally, for those experiencing severe or very severe pain, a meager 22 percent reported good sleep. In combination with sleep quality, quantity also matters. 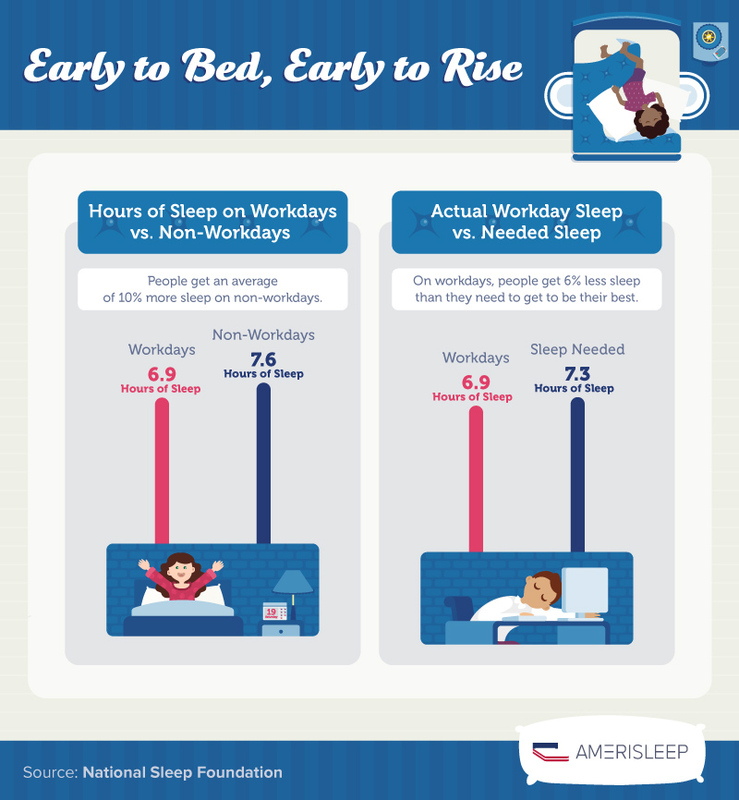 When the NSF asked respondents to report on how much sleep they were getting each night, the results were telling. Those experiencing chronic pain lost 42 minutes and those who endure acute pain lost 14 minutes weekly compared to those with no pain. The study also found that the greater the severity of pain, the larger the sleep debt – or the gap between how much people say they need and the amount they’re actually getting. 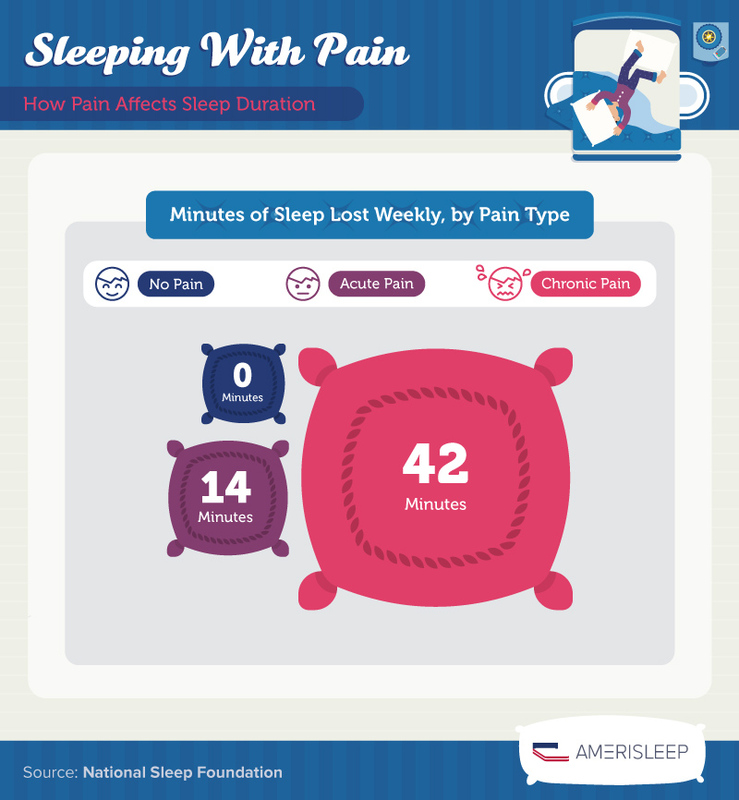 Those reporting severe pain averaging the highest sleep debt (60 minutes). Even those with mild pain experienced a 15-minute sleep debt. Despite the popular myth that you can train yourself to get by on less sleep, that 14- to 60-minute sleep debt can still be detrimental to your overall health, wellness, and quality of life. When asked about their mood, daily activities, enjoyment of life, relationships, and work, those with no pain reported that their sleep had less difficulty in their lives. 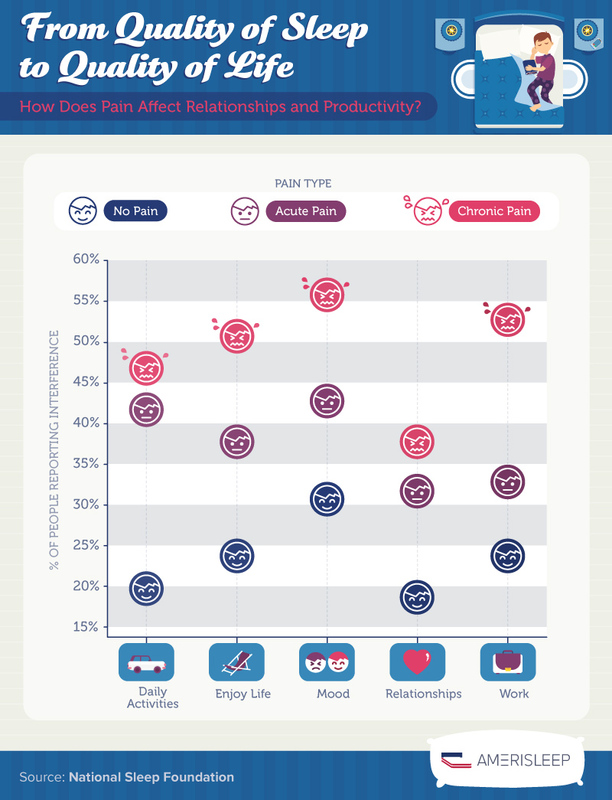 For those with chronic pain, the outcome was the opposite: 37 to 55 percent reported that their pain led to difficulty sleeping, which impacted their day-to-day activities, enjoyment, relationships, mood, and work. Research suggests that this is a cyclical problem. Our health is impacted by our sleep, and our sleep is impacted by our health. Brain, nervous system, cardiovascular, metabolic, and immune disorders all increase our risk of sleep deprivation. Mood disturbances, like anxiety, can further impair sleep, as can relationship difficulties. 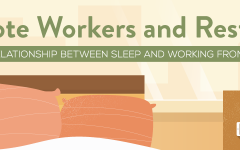 While pain has a major impact on our sleep, other factors – including our work schedules – can pose a significant risk to our sleep schedules. Research shows that people get an average of 10 percent less sleep on workdays, which is over 5 percent less sleep than we need for peak productivity and creativity. 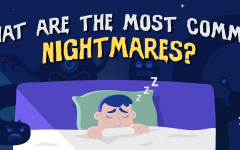 So what other specific factors can affect overall sleep quality? Those with chronic pain indicate that temperature and their mattress most significantly impact their sleep. And even those without pain say the temperature and their mattress are among the top three things that make it difficult to sleep. 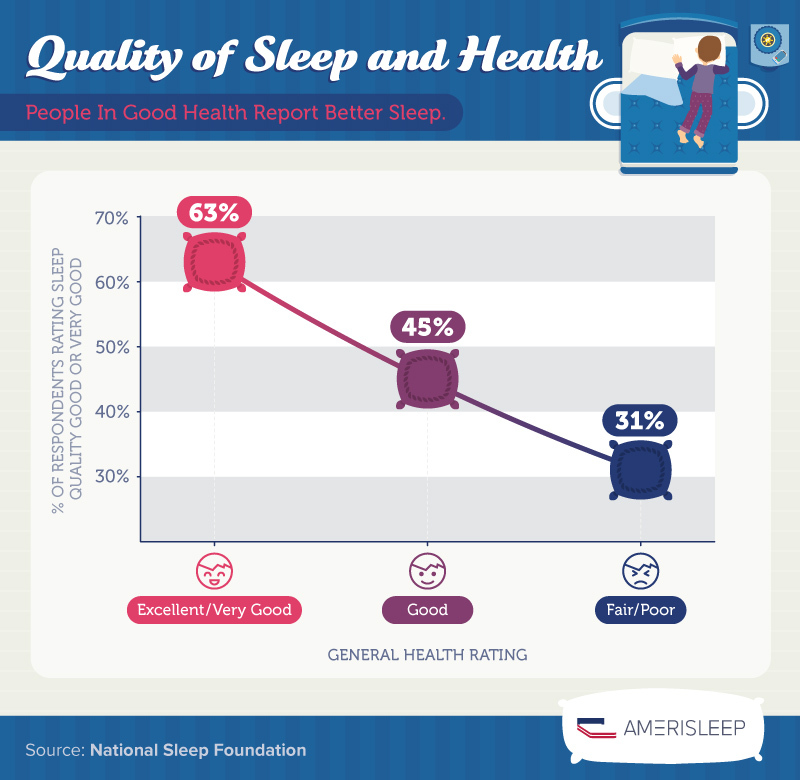 It’s research like this that reminds us why we at Amerisleep do what we do – make better, more comfortable mattresses that promote good sleep and, by extension, good health. 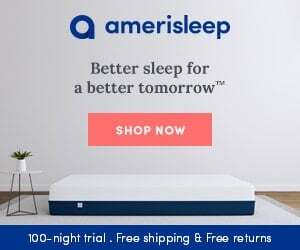 If you’re sleep deprived – especially if it’s due to pain – a good mattress can help you climb out of your sleep debt and improve your overall health, mood, relationships, work, and enjoyment of life.